I speak of gratitude, and I know in the past I have spoken about gratitude, however over the week, the title the Power of Gratitude kept coming to me, gratitude for me has become a major part of my life. When things are going well in your life it’s very easy to be in a state of gratitude, and even when things haven’t gone the way you thought they would, still be in gratitude. Through those experiences many gems and gold nuggets emerge, every situation has two sides, heads and tail, positive and negative, hot and cold, dark and light, good and bad. Even in the darkest times you can always find that glimmer of gratitude, which will grow more and more as you focus more on what else there is to be grateful for. In this article I share a couple of examples of where people show gratitude and what happens when they don’t. Gratitude is one of the most powerful words you can have in your vocab along with Thank You, if you want to change your life then be in total gratitude. Even when you are experiencing tough times, this is the time to be in gratitude and look for the blessings you already have in your life, look at the opposites and see what this experience has created for you in positive ways. There is always a positive side from a bad experience, especially if you practice gratitude you start to see the treasures, the gems, what you are grateful for, and what it shows you. What happens when someone hits a down time or something drastically has gone wrong in their life, people tell their story feeling the victim, what’s gone wrong, how unwell they are feeling, or they are in a job they don’t like they focus on the parts they don’t like. If you hit a downtime or things are not going the way you thought, start rephrasing your words and sentences, still telling the story but in a positive vein. This is twofold, it helps lift your energy up and gives you a new perspective on things and creates a new belief in yourself. What you focus on expands – ie if you are thinking negatively then you attract more negative things into your life. If you focus on the positivity you attract more positive things into your life. I was recently reading a book on gratitude, and the Author admitted that if she had been asked 6 years ago if she had gratitude she would have had said yes. She said thank you when given a gift, thank you when a door was open for her. When gratitude came into her life big time, and she was practising it every day, she realized she didn’t have gratitude 6 years previously. 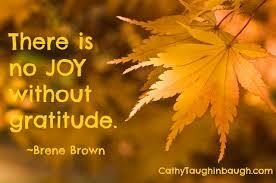 Gratitude is not something you say here or there, it’s something you live and breathe, every day of your life. 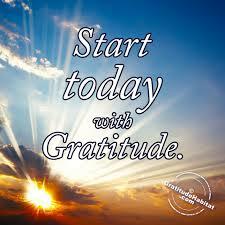 She uses gratitude in all areas of her life, relationships, work, money, family, and all areas of her life improved. While I was away, I attended a business network meeting, there was a lady there who had shifted about 6 months ago to the area. She was speaking about how she had a business and was looking for new clients in the area. I mentioned gratitude, and her response was to me was: – “You are preaching to the wrong person. I have gratitude when I was diagnosed with breast cancer I said thank god it was me and not my daughter”. The industry she was in, I knew someone I thought may be able to help her, and I referred her to this person, for this article I will call her Fleur. However what transpired, was this newcomer was so excited she immediately contacted Fleur and said I can come today, she was put off to the following week due to work commitments. The beginning of the next week, Fleur received an abrupt text reminding her of their catch up that week. That didn’t go down very well with Fleur, it also put Fleur off wanting to help her. Fleur also discovered that this newcomer had never once been in contact with me, she had never even thanked me for giving her the referral, and she showed no appreciation or gratitude at all. Consequently because of her abruptness, terse texts, rudeness and aggressive attitude, and the ungrateful nature Fleur experienced from this person, Fleur felt uncomfortable in referring her. Now if this woman had showed gratitude and appreciation to Fleur, respected Fleur’ time, realizing she was busy, showing gratitude to me for wanting to help her, then the results would have been vastly different, she would have been given names and companies to approach. The other example is, I have friend who is not well and she has had a lot of health problems, and she has had very low energy due to her heart not functioning to full capacity. When people ask her how are going? She responds I am improving every day, and I am getting better each day, my heart has gone from 30% to 40% capacity and isn’t that great. She focusing on getting better and feeling better, and she finds she is much better each day. Wondering how do you start creating gratitude in your life, when everything around you is falling down around your knees, and you are feeling the victim? Tip 1: Start counting your blessings, list 10 blessings in your life today and every day, and as you read each one back say thank you, thank you, thank you, and you will start to see a shift. Tip 2. Find a small rock that fits in the palm of your hand, or something that means a lot to you like a crystal, and carry it with you in your pocket or purse. When you touch it in your pocket or you see it, it will remind you to stop and be grateful for what’s in your life at that moment. Thank you everyone who open my emails and my newsletters and read them, I love reading your comments, and how some weeks my newsletter have spoken to you directly, or it felt I had written it specifically for you. Thank you for your feedback I really appreciate it. Remember life is a journey and many things happen along that path that you don’t anticipate, however there is always solutions, sometimes in ways you don’t expect. By reaching out and asking for help this is when you can find support that you didn’t think was there. If you are feeling that you are requiring help, clarity or direction in moving forward then reach out, I am here to help you, as people have helped me on my journey which I am very grateful for. ‹ Do You Have An Imagination?